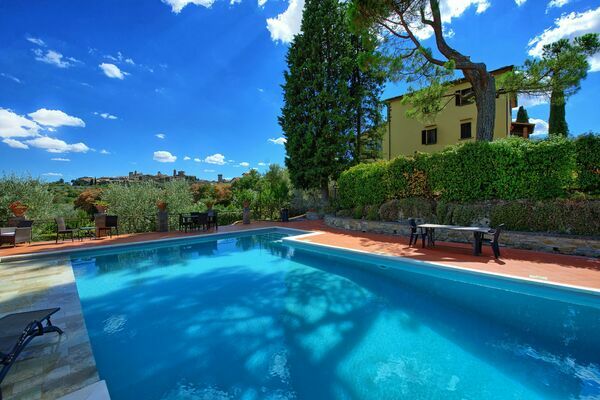 Sleep 2 to 4, pool shared with owners only, villa in Italy? Often a more cost-effective solution! We’ve done the hard work for you. These 1 bedroom and 2 bedroom villas all have a privately-owned pool, shared only with the owners. Casina Paradiso. Sleeps 2 + 1. 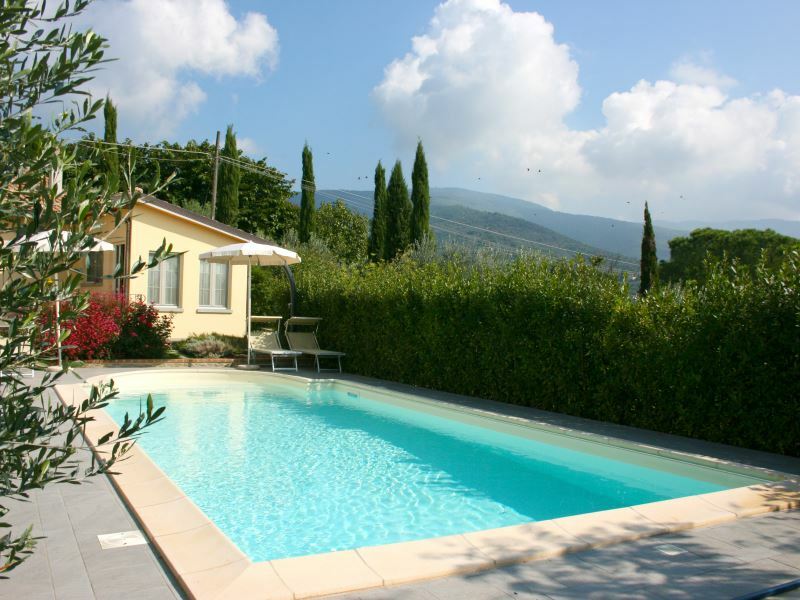 This small house is situated next to the owner’s villa, and the owners occasionally use the beautiful swimming pool with panoramic view over Cortona. Casina Paradiso is furnished with taste and attention to the smallest detail, has air conditioning and Wi-Fi access . Large, private terrace-solarium and an outdoor space with barbecue and garden furniture to eat “al fresco”. Rental prices from Euro 500 to Euro 780 per week. Pieve di Sant Ippolito , Asciano, Tuscany. Sleeps 4. Small 2 bedroom house. 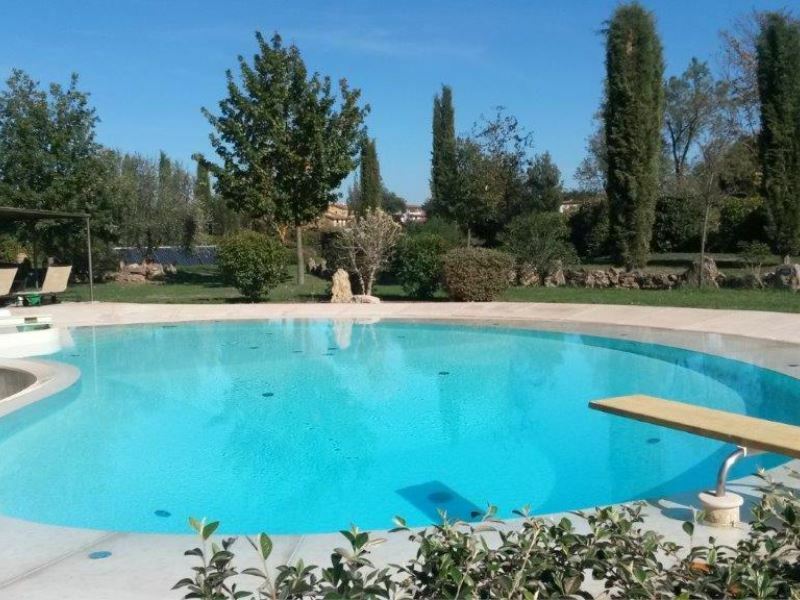 Just 500m from Asciano (pedestrian path).Swimming pool and whirlpool bath used sometimes by the owners. Satellite TV and internet access. Casa Lucia Sleeps 4. 2 bedroom. Independent house with pool in a fantastic position. 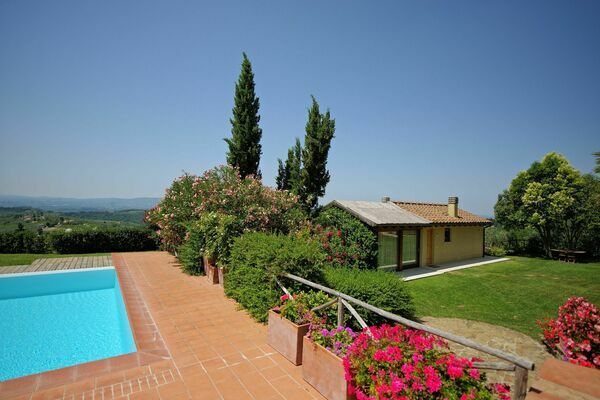 Beautiful panoramic views over the Tuscan hills and the towers of San Gimignano in the distance. Recently-restored. 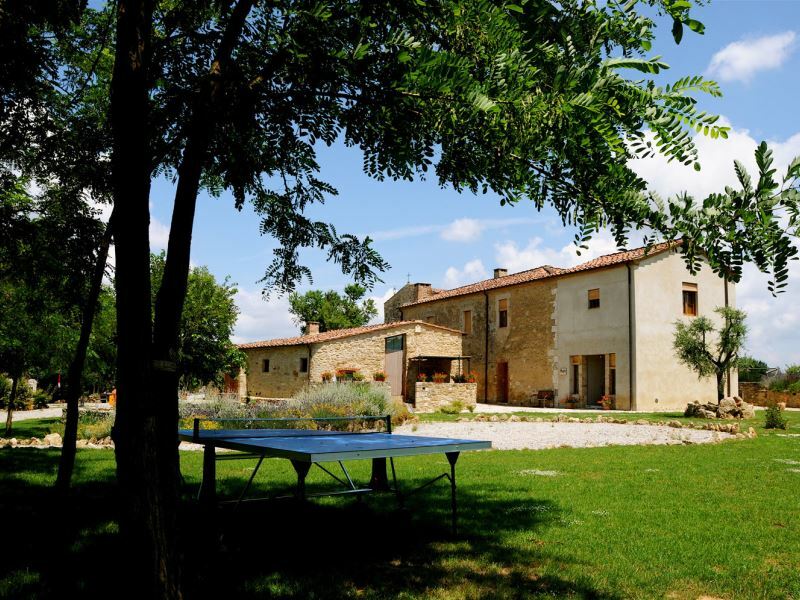 On a large estate (10.000 square meters) with olive groves and vineyards. The pool is approx. 20 m from the house and it is shared with the owners (when they are present). Rental prices from Euro 606 to Euro 1617 per week. Prefer a totally private pool?